Nash Design Studio is a small residential interior design studio serving the San Francisco Bay Area. 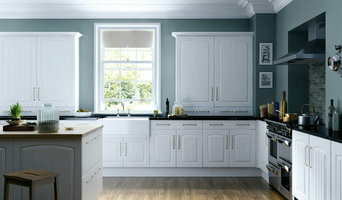 We help our clients create beautiful and stylish kitchens, bathrooms and residential interiors. We have a very professional, collaborative design approach that puts our client’s needs and desires at the forefront of each project. Having happy, satisfied clients is our goal in each step of the design process. Creative Partner is an interior design firm, offering a complete range of design services from concept to planning to construction management. We specialize in kitchen and bath remodeling, space planning, as well as floor plan design for home remodels and additions. Creative Partner creates beautiful, modern as well as elegant, traditional designs, helping you plan your complete project from start to finish. What sets Creative Partner apart from other interior design companies is Petra Jakobskrueger’s European background. She’s designed her first kitchen in 1991 in Germany which is still in place. German kitchen design is all about combining excellent functionality with a beautiful design. Petra Jakobskrueger, has high quality standards, discerning taste, and the ambition that customers enjoy the experience and quality of service. Our team helps visualizing different design options with 3D views of your space and often sees possibilities you didn’t even think of, e.g. moving walls or changing the floor plan so it fits best for your family needs. Petra Jakobskrueger is an expert in listening closely to what you want. She designs your new kitchen, bath, or home addition with your wishlist in mind and makes sure the finished project fits exactly your style and needs, combining excellent functionality with beautiful design. Petra’s immaculate attention to detail, her exquisite European style, and her straight forward approach to things are invaluable assets for any remodeling project. April Viola creates a whole house experience. Add beauty, function, and value to your home & life. We uniquely design, sell & source luxury houses; exclusively for the Silicon Valley, California April Viola is a Cupertino native, familiar with every neighborhood in the San Francisco Bay Area. Her life's passion is all things, Home. She is a graduate of the Academy of Art University in San Francisco, and has enjoyed 20 years of catering to her clientele's desires for fine art, architecture, and interior design services and products; with a specialty in kitchen & bath cabinetry. She is now pleased to be offering real estate services to round out her whole house offerings; including home sourcing & home selling; through a Designer's eyes, maximizing each foot for profit or pleasure. 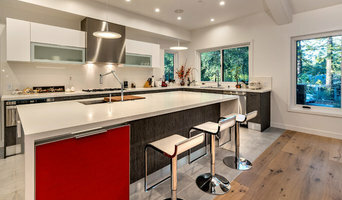 With over 23 years of design and project management experience for kitchen and bath remodeling, Bay Area designer Clare Michael creates tasteful, comfortable interiors with a specialization of open, natural, and functional kitchens and bathrooms. Clare’s countless resources and contractor relationships contribute to a finished product that continually exceeds clients’ expectations and enhances the value of their homes. Clare’s professionalism and unparalleled ability to steer the design process and simultaneously bring your ideas and budget to fruition have established her as a designer that clients retain year after year for their interior design needs. Childhood sitting at barstool watching parents run their restaurants soaked into her DNA. What naturally followed was years managing restaurants in Berlin, Malaysia, Marshall Islands then finally the Financial District of San Francisco and Union Street. 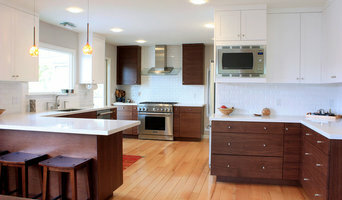 Formal training in kitchen and bath design build over twenty years with hundreds of clients. She was chosen three times for the Marin Designer Showcase and published in Bathroom Design Magazine and cover story for Independent Journal. In an age of information overload, Clare is constantly researching new materials and avenues of access to special and unique materials with a cost competitive price tag. This is the fuel that inspires and directs her designs and give the clients beautiful environment while keeping the finished product mindfully functional.